It’s hard to avoid taking technology for granted, especially when it’s something we use casually every day. And what is more forgettable than a hair dryer? These humble little gadgets are found in almost every home, but no one ever really stops to think about their evolution. 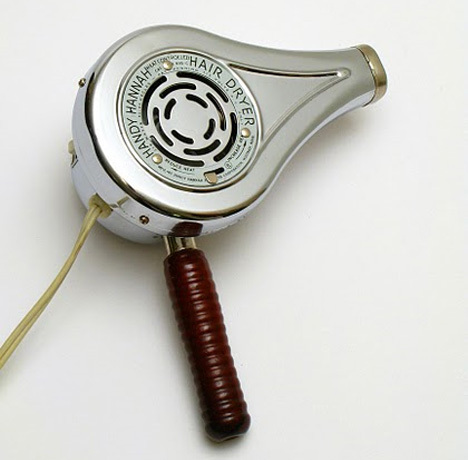 These vintage hair dryers might make you think again about the household gadgets we overlook every day. 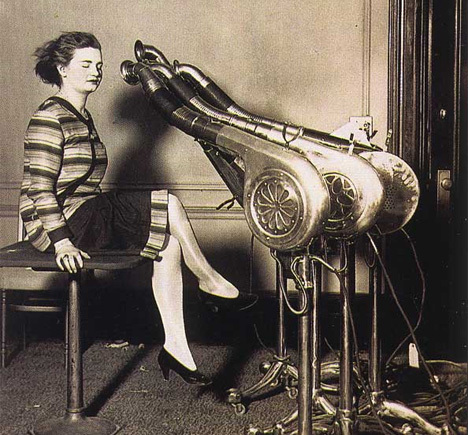 In the early years of the 20th century, before hair dryers were invented, wise women who wanted their hair to dry quickly would attach hoses to the exhaust end of their vacuum cleaners. The clean air that flowed out would help cut down the time it took for hair to dry, but not by much. 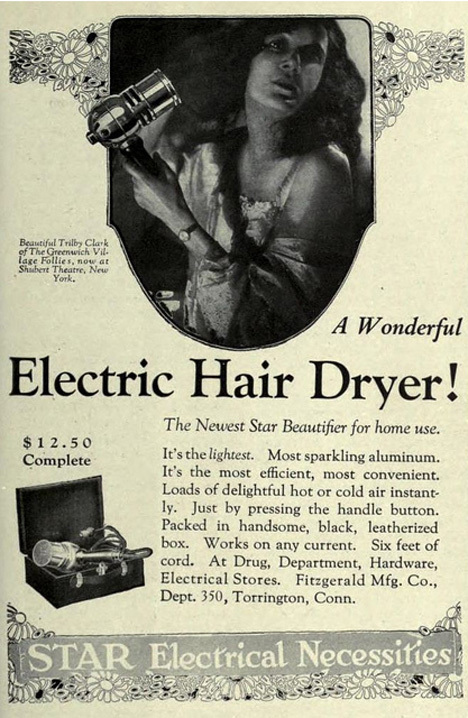 After the first commercial hair dryer was invented in 1920, women had a slightly better method for speeding up their hair drying rituals, but with a maximum output of only 100 watts these early dryers were only a little more effective than, say, fanning one’s head with a piece of folded paper. 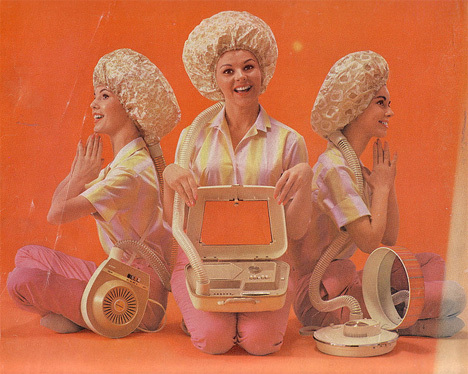 By the 1950s, bonnet hair dryers came along to bless the hair-conscious population with their speed and relative efficiency. The plastic cap fit over the hair while a hose led from a suitcase-size machine and into the cap. The dryers worked without disturbing the position of the hair, something that hand-held dryers could not claim. Since then, hand-held hair dryers have become the norm, but their overall internal design has never undergone many changes. Overall, the devices have become much more safe and a little more streamlined but retain nearly the same type of internal workings that were used a century ago – but with much more power. 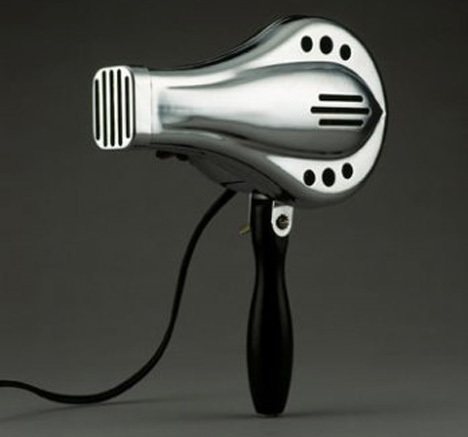 It seems strange to call something as innocuous as a hair dryer “beautiful,” but the craftsmanship that went into the early models is clear. And no matter what the specific gadget is, looking back into the history of our technological achievements is always cause for wonder. See more in History of Tech or under Vintage & Retro. March, 2011.